Answering journalists’ questions during an annual summer press conference, German Chancellor Angela Merkel elaborated on the ties between Berlin and Washington, as well as touched upon the recent summit between the Russian and US presidents. 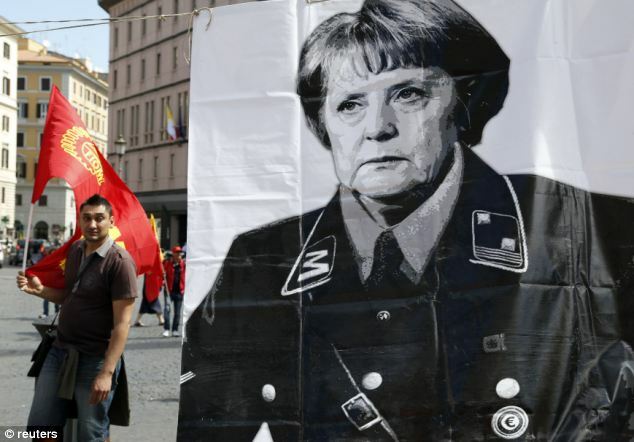 Merkel stated that she was right when she had said a year ago that Europe could no longer rely on the US in the future to be the power that defines the world order. Answering a question on why US President Donald Trump has intensified pressure on Berlin, the chancellor noted that Germany actively trades with the US and suggested that the country’s trade surplus with Washington was a point of contention. Commenting on the first one-on-one summit between Russian President Vladimir Putin and his US counterpart, President Donald Trump, Merkel noted that she was “happy about every meeting.” She went on to say that it was “good for all” that Trump and Putin planned to meet again in the fall, adding that she believed that contacts between the Russian and US presidents should occur more often. “The fact that no Russian president has visited the United States since 2005 should not be normal. … It should become normal for Russian and US presidents to meet,” Merkel told a press conference. On Thursday, White House spokeswoman Sarah Huckabee Sanders said that Trump had asked National Security Adviser John Bolton to invite Putin to visit the United States in autumn, adding that consultations on the meeting had already started. On July 16, the first face-to-face meeting between Russian President Vladimir Putin and US President Donald Trump took place in Helsinki. They discussed the current state of bilateral relations along with pressing issues on the international agenda, including Russia’s alleged meddling in the 2016 US election and the situation in Syria.